Austria has an open approach to sports betting, despite being very restrictive to other forms of gambling. The country is located in central Europe with a population of 8.5 million. After having its democracy restored at the end of World War II, the Austrian State Treaty saw an end to Allied occupation in 1955, awarding Austria its sovereignty once more. Since then the country has flourished, becoming one of the wealthiest nations in the world, based on GDP. Austria joined the European Union in 1995 and was among the first states to adopt the Euro in 1999. This guide will give you the lowdown on the best Austrian betting sites. In this article on sports betting in Austria, you can first find out how the betting industry operates in the country. Then the online market is looked at along with taxation of winning bets. After this, the accessibility Austrian sportsbooks is looked at, before giving some future thoughts to the market in the country. Austria has tended to take a liberal approach to the growth of sports-betting within its borders, even though casinos and other forms of gambling are tightly regulated under government control. Instead of being part of this national gaming monopoly, betting shops are individually licensed by whichever Austrian state they wish to operate in . This has led to a large number of betting outlets opening up across the country. Sportsbook cafes are very popular in Austria, mixing a coffee shop atmosphere with the ability to bet on a large number of sporting events. The largest operator of land-based betting, Admiral, operates more than 200 of these cafes and employees over 1,200 people . Like other operators, Admiral has also worked to develop betting technology with terminals in addition to online services. While this open market is very good in many ways for the customer, it has the distinct disadvantage of not having a governing body that can enforce rulings if you feel an operator has not provided the service expected or has even acted against you. Despite this concern, the vast majority of operators only wish to run legitimate and successful Austrian betting sites. For many years Austria allowed their domestically licensed companies to operate online alongside international sites. This has created a confusing set of circumstances where Austrian companies have to abide by their country’s regulations and pay taxes, while international sites do not necessarily have to share the same responsibilities . As a result, the Austrian government has since looked for a way to encourage gamblers to use domestic sites. In October 2012 Austria awarded an exclusive 15-year online license to Austrian Lotteries, part of Casinos Austria International. While this was primarily for casino games and did not affect sports betting licenses for domestic companies or the ability to wager on any Austrian betting sites, it restricted advertising for foreign companies, many of whom operate casino and poker sites alongside their sportsbook. In May 2014 the Court of Justice for the European Union (CJEU) stepped in and ruled that Austria was not being consistent with its laws, creating an unfair market and as such, they were non-compliant with EU laws . While this continues to apply more directly to the casino market it should help the visibility of Austrian betting sites for sports punters in the future. Under current Austrian law, you are not liable to pay any taxes on gambling winnings. This is currently the same in most EU countries and seems unlikely to change in the near future. Nearly all operators, especially those regulated in Europe, provide German translations for their Austrian sportsbooks. The same goes for the Euro, which is the standard currency nearly all EU licensed sites will use to hold balances and allow you to wager in. To deposit or withdraw from Austrian sportsbooks, most will find credit or debit cards the easiest options. A wide variety of cards are accepted with Visa and MasterCard deposits available everywhere. Alternatively, if you often find yourself moving money around online, try using an e-wallet like NETeller or Skrill, for quick hassle-free transactions. There are also a number of local options you might wish to try like SOFORT banking or a prepaid method like Paysafecard. 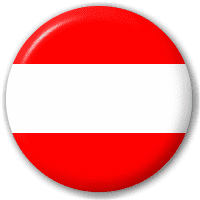 With the CJEU ruling heavily criticizing Austrian’s gambling laws, it is expected that new legislation will come into effect at some point and will probably help to open the market. That being said, Austrian sports bettors do have a good time of it with limited federal regulation on land-based Austrian sportsbooks and the ability to wager on pretty much any online site, and there seems little reason or desire to change this.